Black Friday has traditionally always been an American “holiday”. The closer the day gets the more deals people can see be released. Price cuts in almost every product can be found everywhere. Weeks before the event “leaks” are released so people can plan their purchases accordingly. When the day itself arrives every storefront, physical and digital, faces a flood of traffic arriving in waves. People charge for the deals they want before others can get to them. It’s a day that the United States waits for yearly. Now, the United States isn’t the only country waiting on Black Friday. Many retail chains are leading Black Friday to other countries. International retail chains have been finding new ground in European countries with deals popping up around the same time as in the United States. Poland is starting to see the effects of Black Friday. A few retail chains are propping up Black Friday displays and showing off what deals are going to be available. In fact, on the eCommerce side of things, there’s a polish website that is dedicated to displaying Black Friday deals. Czarny Piątek is the Polish translation of Black Friday and that can be found all over their advertisements. The main website that advertises Black Friday, as well as Cyber Monday, includes a description of what to expect from the event. “In Poland this day, despite not being as popular as in North American countries (U.S. And Canada) , is becoming more popular every year. 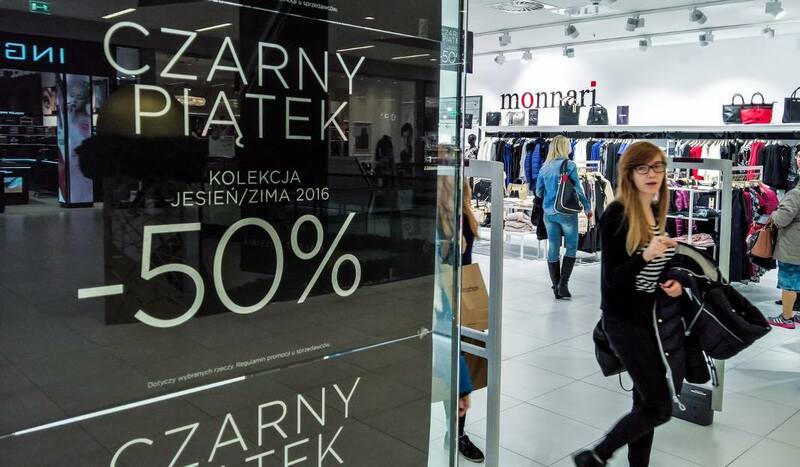 Among Polish consumers, it is being called “Black Friday Polska” [Poland], or simply “Czarny Piątek.” Although these outlets are starting to embrace the concept of Black Friday they are more quiet about it. Deals aren’t advertised as heavily as in the United States. They aren’t the only ones starting to hop onto the idea of Black Friday. South Africa faces similar stampedes of shoppers as in the United States. Although not directly Black Friday, Single’s Day in China faces huge eCommerce numbers.